The Mixed Marvel Arts Podcast stands in support of Jessica Jones and all Marvel heroines! Brian and Shaun review Netflix’ second Marvel series, Jessica Jones and the first trailer for Captain America: Civil War. Shaun evens the Fantasy Comic League score by narrowly defeating Lash in November. Brian and Shaun also discuss potential candidates for MMA Podcast year-end awards. 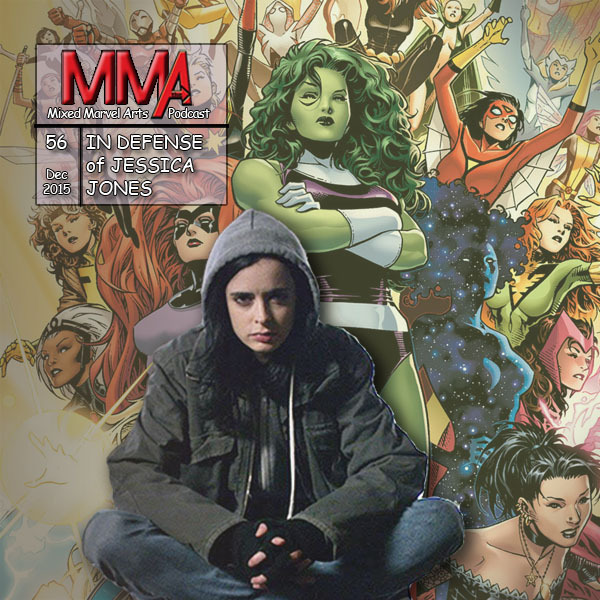 Episode artwork: Krysten Ritter as Netflix Marvel’s Jessica Jones. Jim Cheung, Laura Martin, A-Force #1 cover.